Early every morning there is a steady stream of construction traffic and they all park outside my bedroom window and over time they have manage to damage the road surface and the footpaths. 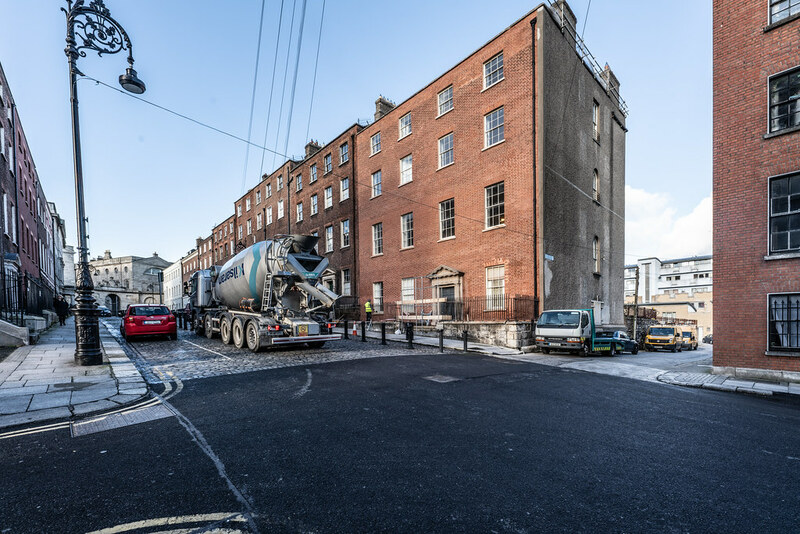 Note the trucks are servicing a building site associated with a new student accommodation complex under construction at the Michael H site on Upper Dominick Street. 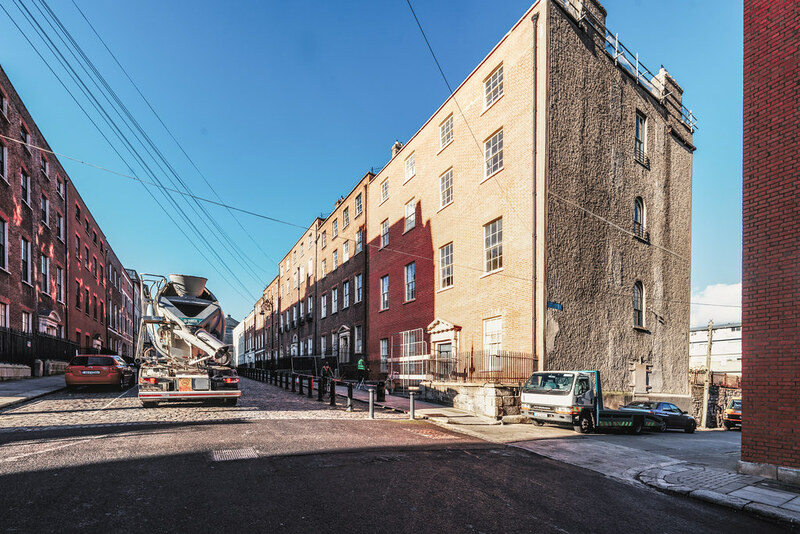 A few days ago I got an unpleasant communication from someone claiming that my claims about effectively living on a building site for six or seven years was a total exaggeration. Anyway there is some good news as you can see from my photographs the restoration work at No. 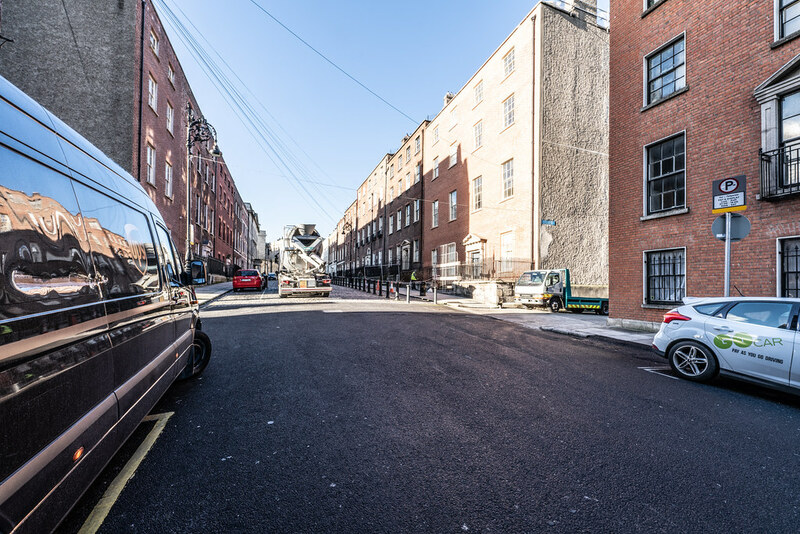 3 Henrietta street is almost complete.